is a triumph of pure creativity. Adrift on a white page, tiny tot Harold uses his imagination to create a world of his choosing. Step by step Harold uses his purple crayon to draw a moonlit landscape and all his adventures in it. With delight and mystery we are lead through the story unable to guess what will happen next. At one point he draws an apple tree, then a dragon to guard it until the apples had ripened. He draws it so well that he becomes frightened and as Harold begins to shake and the Purple Crayon shakes too. Inadvertently he draws the choppy surface of water and suddenly Harold is over his head in an ocean! 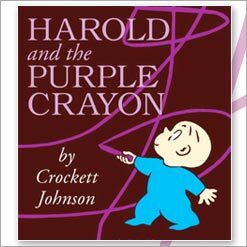 Masterfully each time Harold and the Purple Crayon get into strife, he uses his quick thinking to draw a way out. 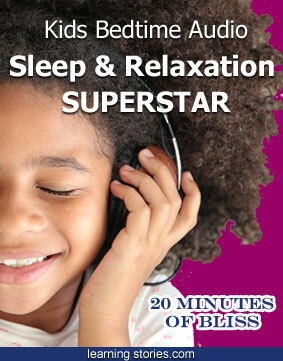 A stimulating adventure which encourages problem solving and free flowing creativity. The brilliance of this simplistic story illustrates that the safety of staying on the straight, predictable path can often become a barrier to creativity and problem solving on your feet. After saving himself from several near disasters, having fun and getting lost in his own psyche, Harold eventually finds his way back home and drawing up the covers of his bed he falls asleep. 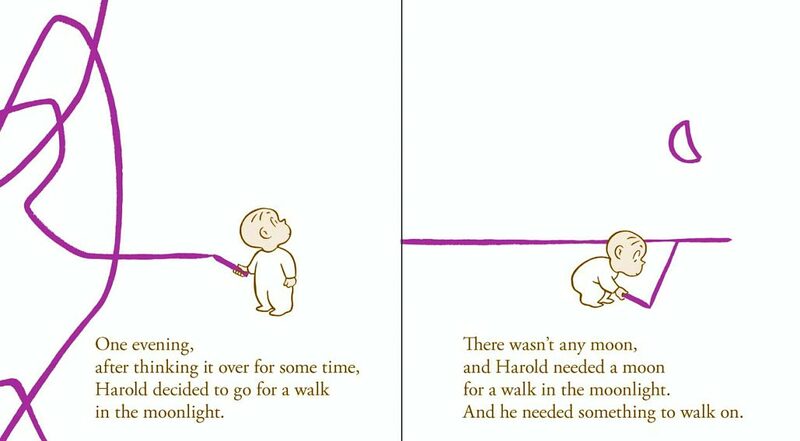 Like any masterpiece, Harold and the Purple Crayon remains as vibrant and dynamic as when it was first written over fifty years ago! Publication Date: February 1, 2005.